During his lifetime, Draper was one of the most admired painters of classic mythologies and elegant portraits. He studied at the Royal Academy in London and participated in their official expositions for most of his career. After winning the Royal Academy Gold Medal and Travelling Studentship in 1889, he traveled frequently to Rome and Paris. His painting The Lament For Icarus (which hangs at the Tate) won the highest honor at the Paris Exposition in 1900. 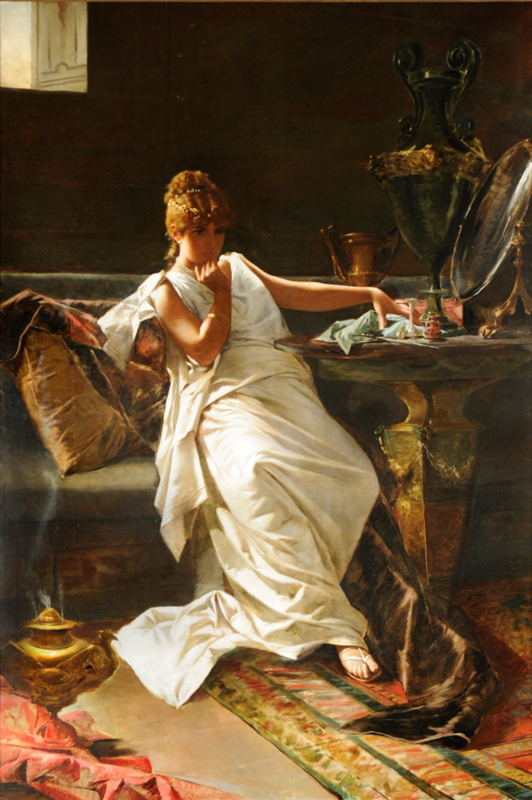 Contemplation is a full-length portrait done in the Grand Manner – the sitter is draped in Grecian attire with surroundings that convey nobility and wealth.